Saunders, Richard D, and William J. Perlman. Music and Dance in the Central States. Hollywood, Calif: Bureau of Musical Research, 1952. p. 160. Warnecke, Friedrich. “Ad Infinitum.”: Der Kontrabass, Seine Geschichte Und Seine Zukunft. Probleme Und Deren Lösung Zur Hebung Des Kontrabassspiels. Hamburg: Der Verfasser, 1909. p. 55. Applebaum, Samuel. The Way They Play. Paganiniana Publications, 1972. p. 225. All compositions cited here are listed in alphabetical order, although certain German publications offer the opus number as well. Future research should determine if a complete opus number listing can be located, or reconstructed, from the extant materials. Some of the concertos exist also in their original orchestra score versions, and will be presented here when their research is completed. Duett Concertante / L. Winsel. At this time no traditional chamber pieces have been noted. (v. 1) Bach, J.S. Gavotte and La musette.–Beethoven. Menuett.–Brahms. Hungarian dances no. 5 and no. 6.–Brahms. Wiegenlied.–Gluck. Gavotte.–Händel. Menuett. Gavotte no. 1 and no. 2 and Musette.–Haydn. Serenade.–Mozart. Horch auf den Klang der Zither.–Ole Bull. Sehnsucht der Sennerin.–Schubert. Ave Maria. Wiegenlied.–Schumann. Träumerei. Photograph of an exterior view of the Pantages Theater in San Diego, ca. 1920. Citation of “Prof Louis Winsel” on the concert poster by the right side. 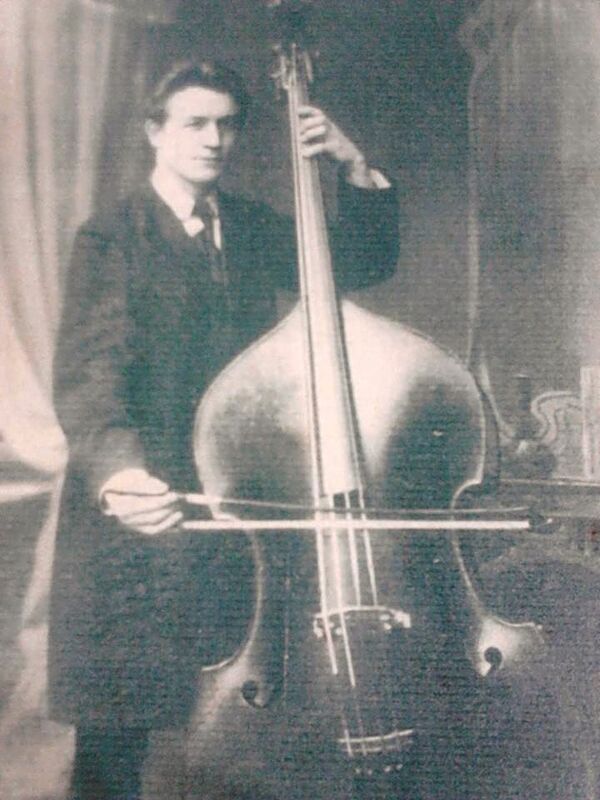 Considering that Louis Winsel was indeed a Professor of Double Bass at Hamburg Conservatory prior to his arrival at United States, this is likely an announcement for one of his early American concerts.